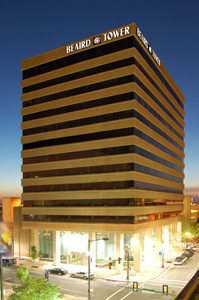 Our offices are located in Beaird Tower, (corner of Marshall and Travis), in Downtown Shreveport (across from Government Plaza). The entrance to our covered parking garage is on McNeill Street. To get directions from your location click “Directions” on the map below.